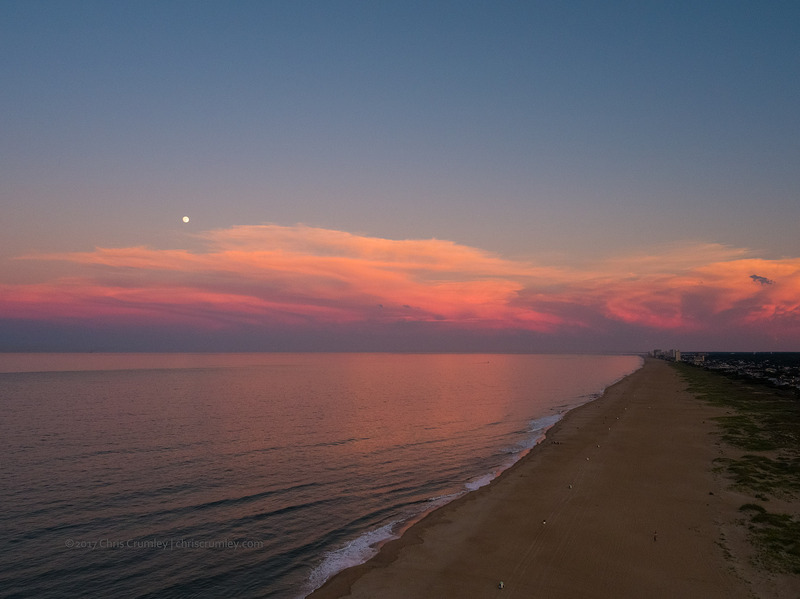 End of day aerial scenic art at 84th Street beach, Virginia Beach, with David Haycox and Joy Tatem Haycox. Moon in upper left. Trash cans in perfect row in bottom right quarter. People like ants. Peaceful and quiet.